During early August every year, Toronto celebrates is budding Caribbean community with its esteemed Caribana Festival filled with parades, events, and a cant-miss nightlife. This year, Nike is kicking things up a notch with two colorful and iconic selections to celebrate this cherished event. While you have already seen the wildly designed Air Max 95 for Caribana, we are now here to bring you a detailed look at a bold Air Force 1 Low as well. Equipped with a primarily gold upper that dons crackled detailing throughout, its midfoot Swoosh, heel, and tongue tab feature a speckled pattern with just about every color of the rainbow. An embroidered black palm tree – a clear nod to this shoe’s Caribbean inspiration – can be seen on this Force’s lateral heel to match its instep, sole unit, and laces. 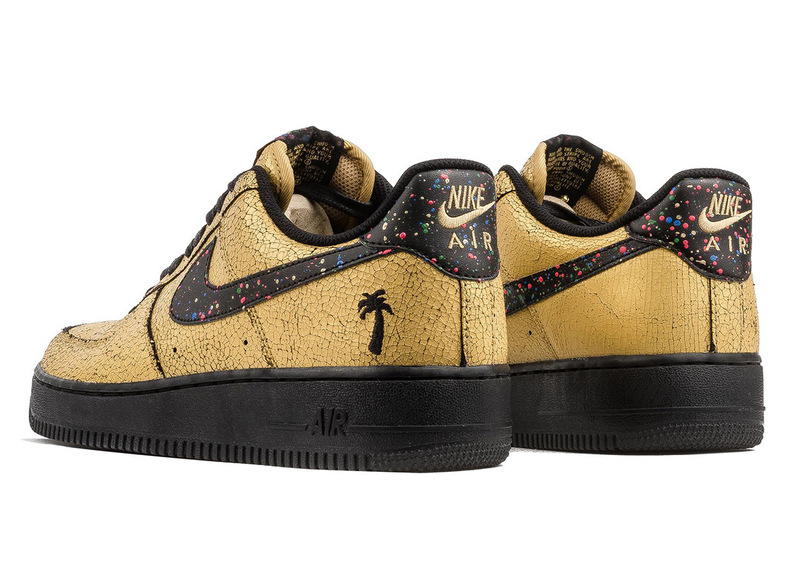 Pairs of the Air Force 1 Low “Caribana” are currently flying off the shelves at retailers the likes of Toronto’s Capsule, but be sure to look out for other shops to get in stock of this celebratory Air Force 1.